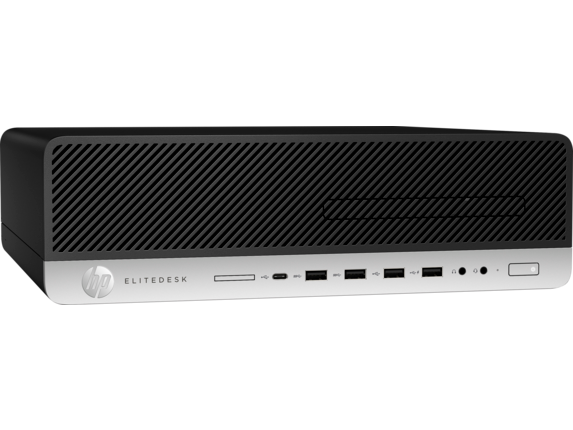 With its impressively small form factor and next-level power, the HP EliteDesk 800 combines power, good looks, and space-saving design in one great business solution. It’s because of its form factor that you and your team will be able to do more without sacrificing performance, adding a new layer of functionality to your business’s workflow. 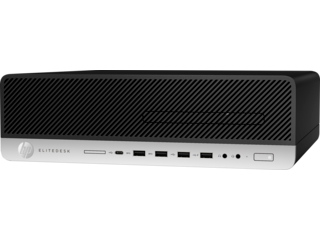 Its stylish and minimal case makes this HP small desktop a great addition to any environment, whether it’s shared workspace, traditional office, or classroom. 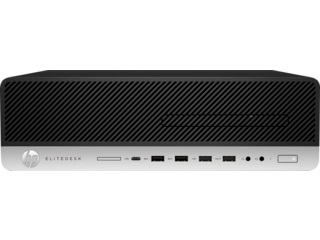 The HP EliteDesk brings the heavyweight performance you’d expect out of a much larger desktop and consolidates it into a compact form factor that you can easily tuck away or integrate into your existing setup. Looking for something more compact? 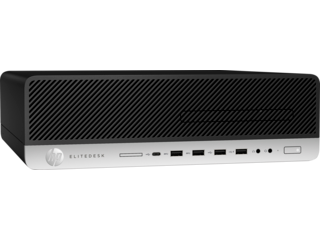 An HP Mini Desktop Computer is an even more small-scale way to get things done. One of the most frustrating things about working with a traditional desktop is that you can’t always count on having access to the ports you need when you actually need them. We’ve solved that problem with our HP small form factor PC, which grants you access to four USB 3 ports and one USB-Type C™ port right on the front of the case. That gives you the flexibility to connect almost anything you need in a pinch without having to deal with the struggle of finding ports on the machine’s backside. When you’re outfitting an office or a classroom, it’s important to have desktops that are reliable, but it’s even more important to be able to manage them on your terms. The included HP Manageability Integration Kit software makes management a breeze. You’ll experience seamless deployment that ensures all of your HP EliteDesk 800 units are up to date, running your desired applications, and accessible for support. 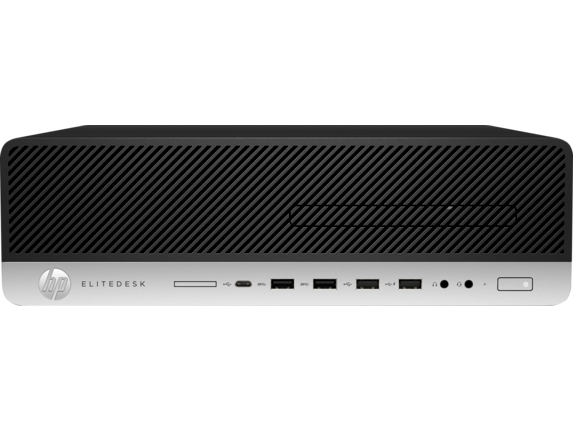 If you’re interested in a deployment option but have different budget needs, consider the HP EliteDesk 707 Small Form Factor . With multiple expansion bays, it’s possible to customize and build out your HP small form factor computer however you see fit. 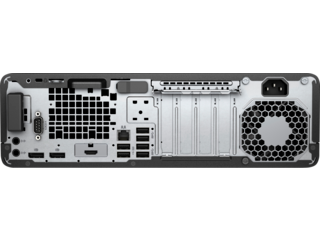 If you need more display options, the third configurable rear I/O port can be outfitted with your choice of VGA, DisplayPort™, HDMI, or USB-Type C™ with DisplayPort™. You can incorporate any kind of display into your workflow, whether you’re using legacy models or something new and higher-end. Plus, the six USB 3 ports on the back of the PC provide the option to hook up a large number of peripherals while keeping the cords tucked away and out of sight. Don’t spend time worrying about being delicate with your HP EliteDesk 800 when you need to be focusing on your productivity. We built this desktop to withstand even the harshest conditions by putting it through 120,000 hours of our Total Test Process in addition to MIL-STD 810G tests. It even comes with an optional removable dust filter to make maintenance easier than ever.